Launched in 2010, Sea Urchin Studio is a boutique design company specializing in playful, imaginative products for children. We were drawn to this product because of their adorable prints and colours. 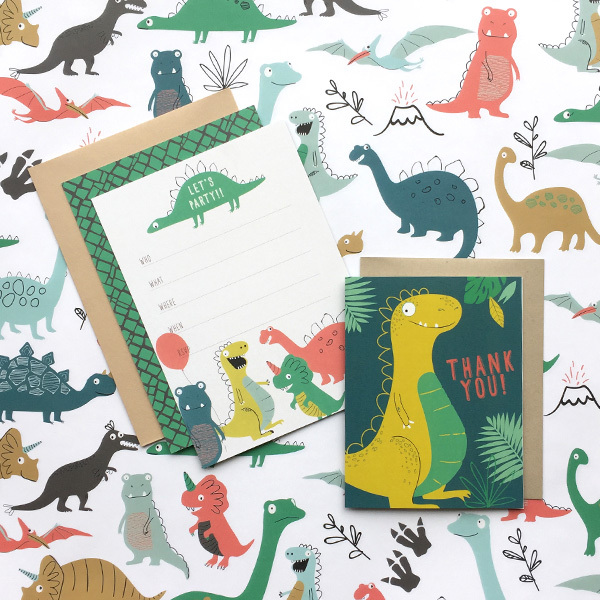 We were searching for just the right offering of children’s stationery for our clientele. Sea Urchin Studio’s has everything you need with coordinating party invitations, thank you notes, writing paper, stickers and wrapping paper. If you’ve chosen a theme for your child’s party, chances are we’ve got you covered with Sea Urchin. Using eco-friendly materials and environmentally conscious printing methods, all products are made in the USA and carefully hand assembled ensuring the highest quality.